With new PoreCore technology and design, enjoy increased riding time and higher torque! The Power Core E90 by Razor is upping the electric scooter game, once again. 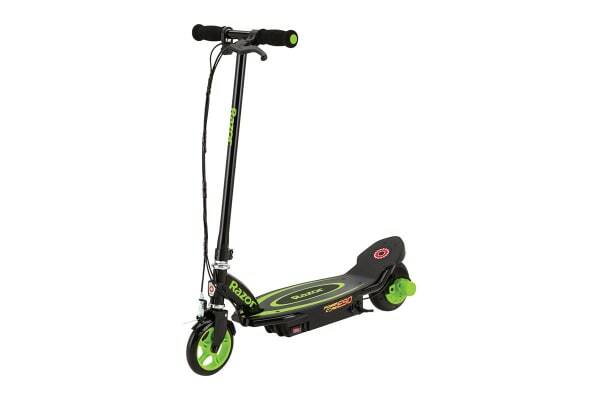 Featuring a ridiculous 80 minutes of riding time and 50% more muscle power than previous models, this scooter will be endless amounts of joy and fun to kids 8 years and over. Its innovative hub motor delivers a more efficient and maintenance free ride, while the lightweight steel frame and increased torque takes performance to the next level. 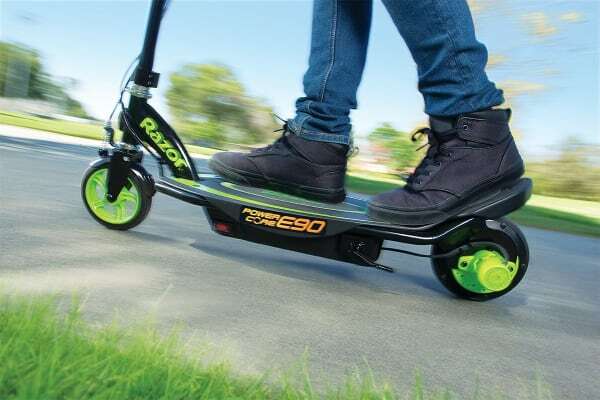 The kid-sized deck and frame makes up this quiet running, electric powered scooter delighting kids and neighbours alike! Riding up to 16km/h with its push-button acceleration control, kids can stop with ease thanks to the hand-operated front brake.